Clean all threads if necessary. 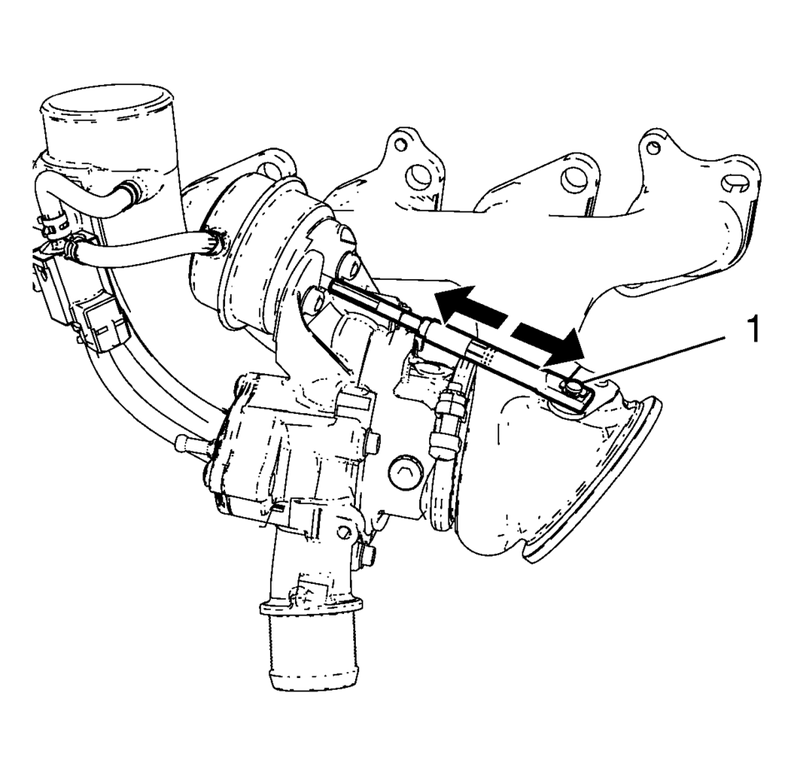 Inspect the wastegate regulator mechanism (1) for functionality. Inspect the turbine blades for damage or foreign material. Inspect the turbocharger wastegate regulator vacuum hoses for damage. Inspect the exhaust manifold and the turbocharger for cracks or other damage. Inspect the exhaust manifold mating surface for flatness.